Unlock HTC Windows Phone 8S - Safe IMEI Unlocking Codes for You! 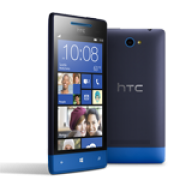 Unlock HTC Windows Phone 8S Handset! In case your Windows Phone 8S doesn't ask for the code and there is no designated field to enter it, please DON'T PLACE ANY ORDER, contact us first for support. Are you looking to unlock your HTC Windows Phone 8S mobile phone? Do you want to use it with Any SIM card worldwide? If yes, instant and safe service! We are able to unlock the most GSM Carriers including Fido, AT&T, Rogers, Bell, Telus, Vodafone, T-Mobile, Orange, Three and all other major service providers. How to Unlock HTC Windows Phone 8S Phone - Tutorial! Please find bellow a step-by-step guide to follow in order to unlock your HTC Windows Phone 8S smart phone. If your mobile phone doesn't ask for the code and there is no designated field to enter it, please contact us for support. Do you have code for my HTC Windows Phone 8S Austria - T-Mobile ? I wonder how many minutes or hours to unlock my HTC Windows Phone 8S? Hi Greg! Usually the codes for this phone model return within 10 minutes. Thank you!